Do you think our workplaces are positive, fulfilling places? Our research, mined from over 200,000 employee responses and 500+ organizations, unearthed startling findings about employee engagement and office environements. 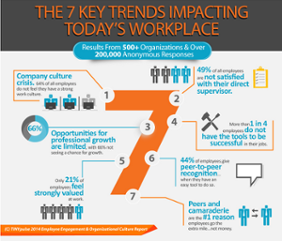 Read the report today to start seeing how you stack up, and how you can turn around any negative trends in your workplace.